Learn the secrets of effective prayer for every need. E. M. Bounds truly followed the charge to pray without ceasing. It was as normal and essential to him as breathing. But though he was in prayer constantly, it never became a chore to him. Throughout his life, whether he was ministering to troops during the Civil War or bringing God's Word to his congregation, E. M. Bounds relished his time in conversation with God. 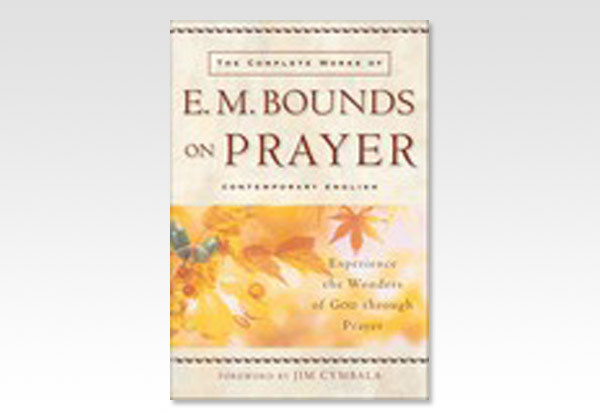 Though only two of his books were published in his lifetime, The Complete Works of E. M. Bounds on Prayer combines all eight of Bounds's classic treatments of prayer. Join the generations of believers who have energized their prayer lives with the help of this godly man. Edward McKendree Bounds (1835-1913) was a lawyer, army chaplain, and pastor in the Methodist Episcopal Church, South. He spent the last seventeen years of his life reading, writing, and rising before dawn every morning to pray. He is the author of eleven published books.